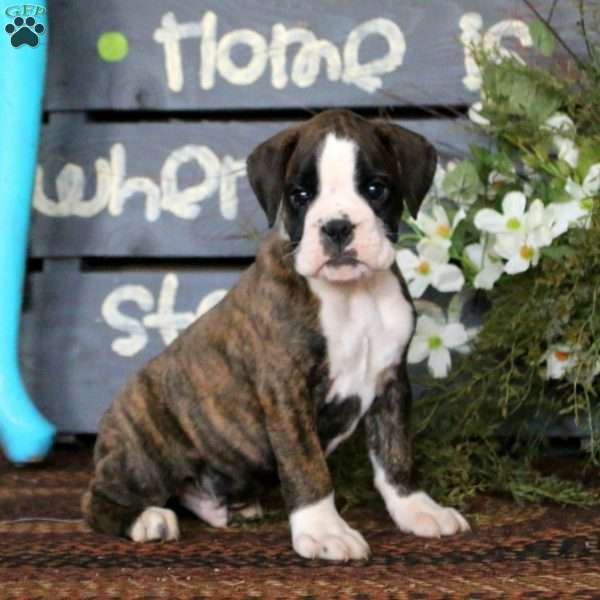 Patrick is a sharp looking Boxer puppy with a gentle nature. This friendly fella can be registered with the AKC, plus comes with a health guarantee provided by the breeder. He is vet checked and up to date on shots and wormer. Patrick is well socialized and is sure to be a great addition to any family. Both parents are on the premises and are available to meet. To learn more about this charming pup, please contact the breeder today! 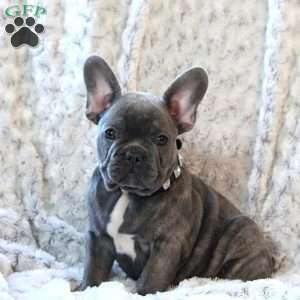 $1,995.00 French Bulldog Puppy Our Puppy of the Day! 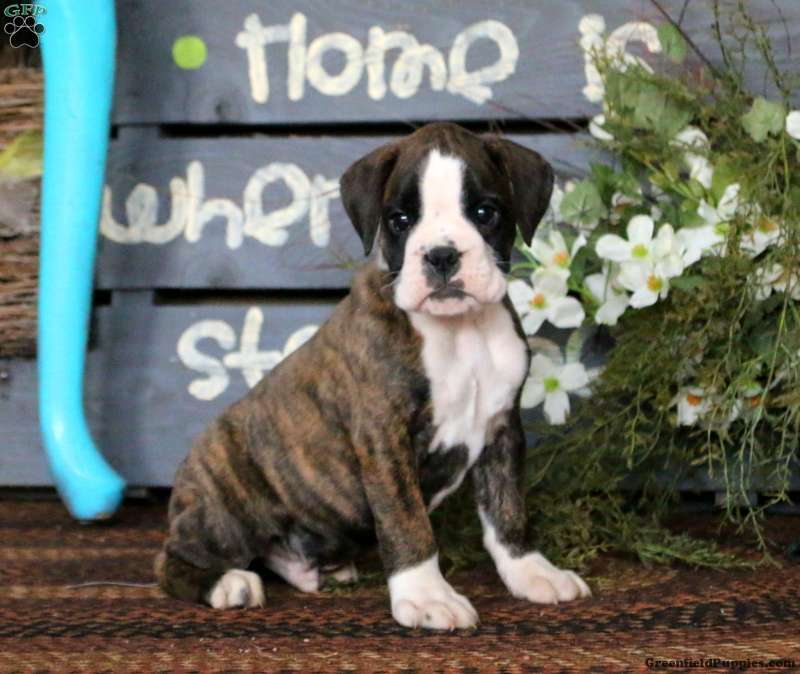 David Riehl is a breeder located in Honey Brook, PA who currently has a litter of Boxer puppies. These sharp looking pups have charming personalities and are ready to be loved by you. To learn more about these friendly pups, please contact the breeder today!